Guess what, "Kirby's SuperStar" lovers? Those sold out SNES Classics? They're coming back. According to the report, GameStop locations will have more in stock sometime between now and Thursday. To be sure your local GameStop has them in stock, you'll need to call ahead or just drop in. GameStop and ThinkGeek will be selling the consoles online sometime on Wednesday, October 11. The time hasn't been announced, but both the bundles and stand alone units will be available. The process of laying your hands on a SNES Classic has become a saga worthy of its own Zelda adventure. After the hell that was trying to buy an NES Classic -- it was perpetually sold out last December -- many Nintendo fans tried to claim the 16-bit revival early. However, pre-sales from Amazon and Walmart were marred by issues, including canceled preorders. 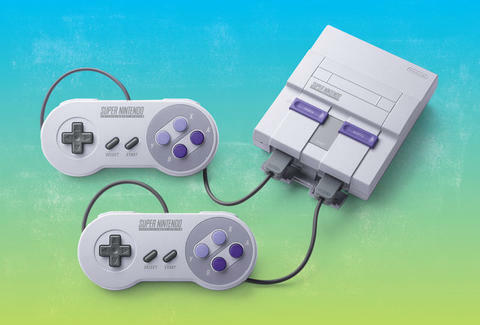 Nintendo later said those problems were "outside our control," and the company was boosting production on the SNES Classic so it didn't face the same issues as the NES Classic. The end result was a release that wasn't quite as tumultuous as the NES Classic, but it was still awfully hard to get a SNES Classic. Many stores were sold out the day it went on sale. Hopefully, the release from GameStop is a sign that more consoles are on the way all over. Until then, you can always satisfy your craving for retro games with a little "Pong."